My friend E is getting married this summer, in 7 weeks to be exact and this past Sunday was her bridal shower. Her taste is very classic and elegant which was so evident in every aspect of her shower. When you walked into the house you were greeted by a basket of chinese slippers for guests to wear. In the dining room, a table so beautifully decorated with two rose topiaries and a wonderful pink “fauchon” box full of white roses – what a fabulous idea! 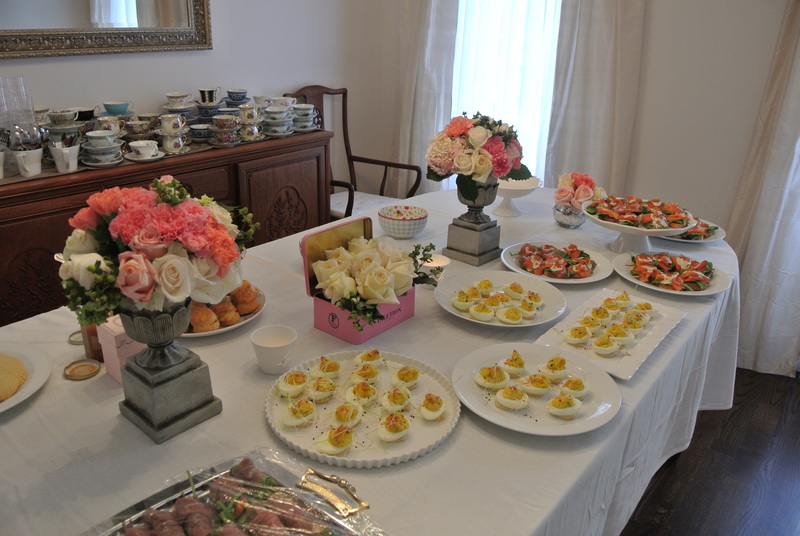 The theme, afternoon tea, was full with plates of devilled eggs, smoked salmon creme fraiche toasts, scones, procuitto wrapped asparagus and of course, French macaroons. 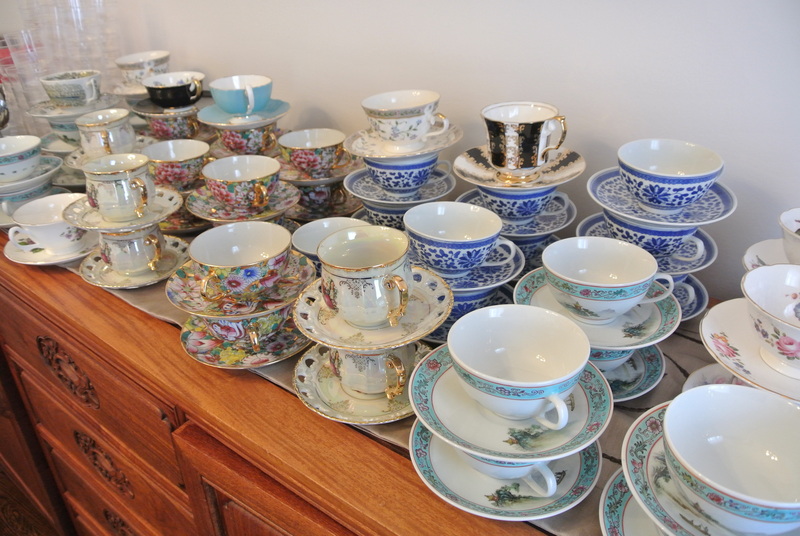 Along the sideboard, tea cups lined the buffet – and a variety of tea was offered, one in particular looked really interesting, TWG. A tea company started in Singapore, so you know I had to try it. It had a very light and smooth taste, perfect for afternoon tea! Looking forward to the wedding! E’s afternoon tea themed bridal shower! 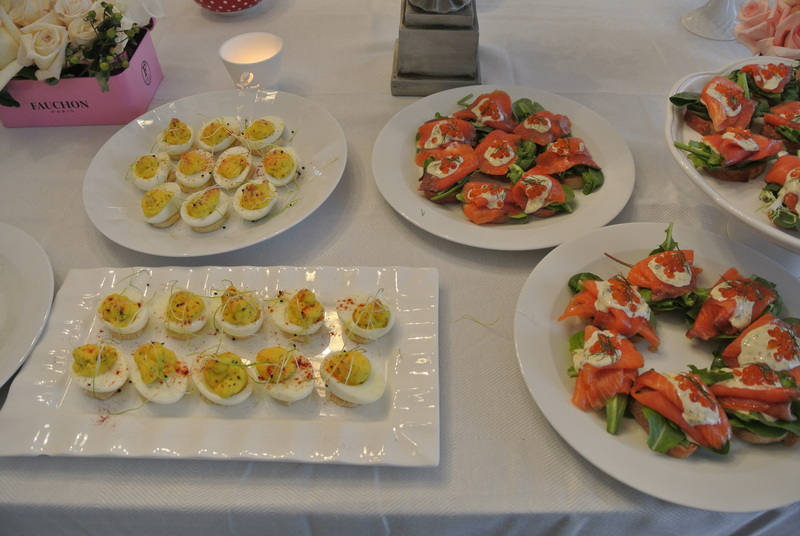 Devilled eggs and smoked salmon creme fraiche toasts. Congrats to your friend E. That spread looks fantastic! !